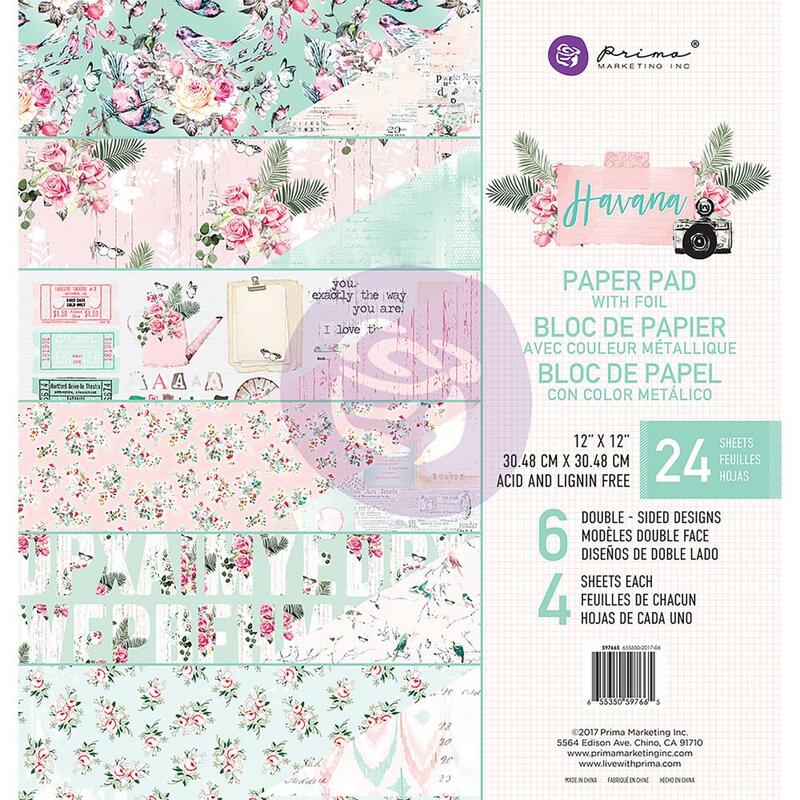 This 12x12 Havana Paper Pad has twenty-four (24) double sided paper. You'll find six (6) Designer Papers and four (4) of each Design. One of the designs "Love from Havana" has elements on it that can be fussy cut. These papers are absolutely Elegant & Stunning. Part of the Havana Collection by Prima Marketing. Look for coordinating Flowers, 3"x4" and 4"x6" Journaling Cards, Sticker Sheets, A4 Paper Pad, Washi Tape Collection, Designer Tickets, Ephemera Elements, Crystal Gems and open stock Individual Designer Papers. Havana Collection by Prima Marketing Inc.